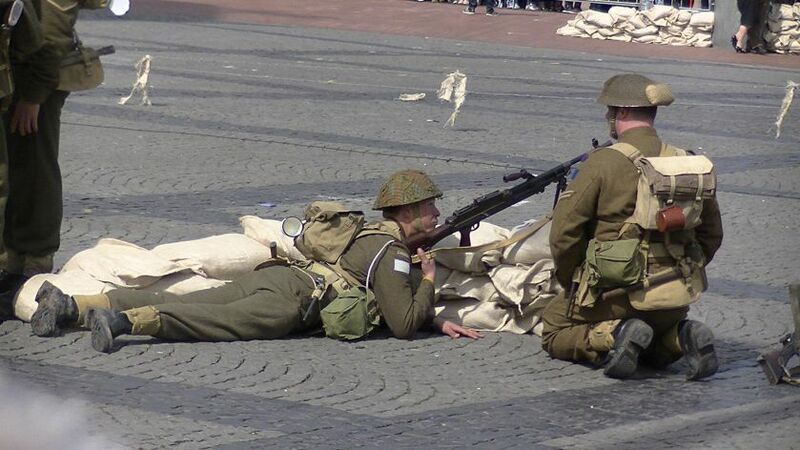 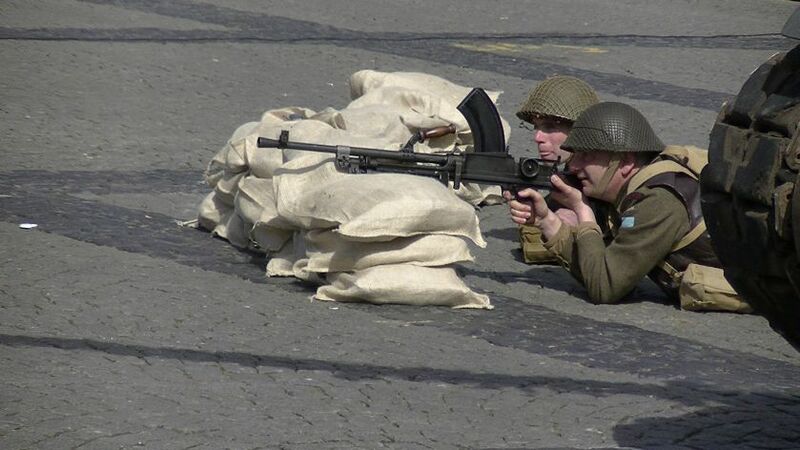 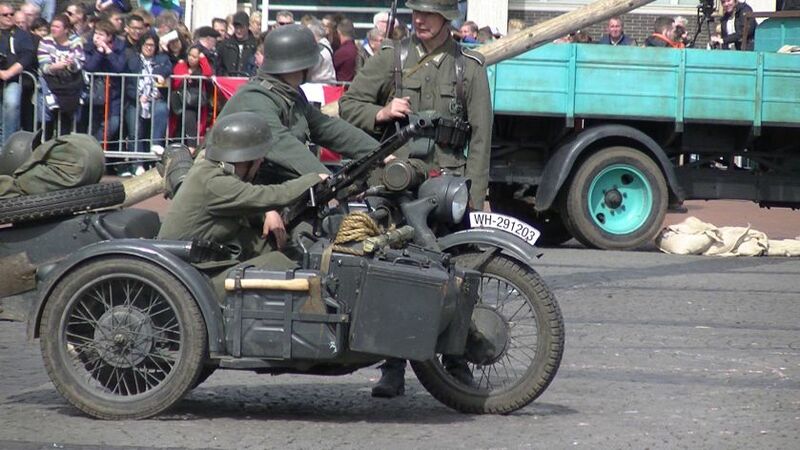 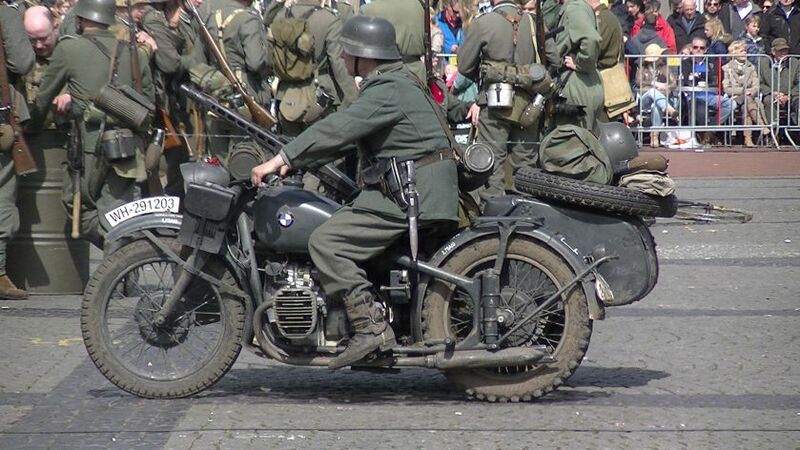 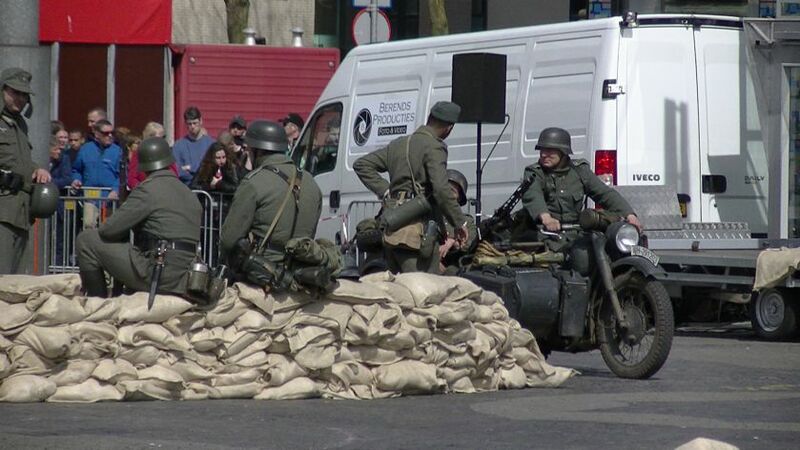 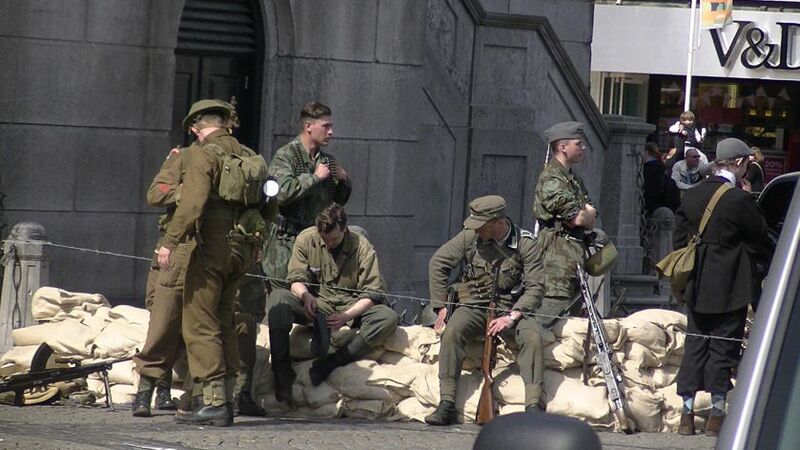 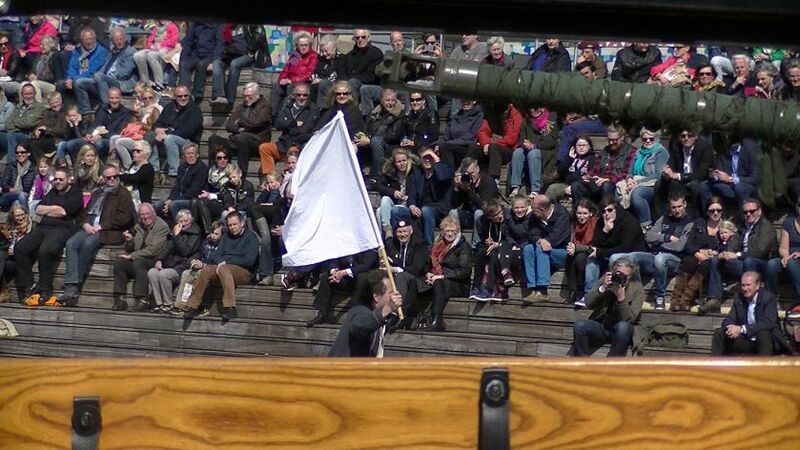 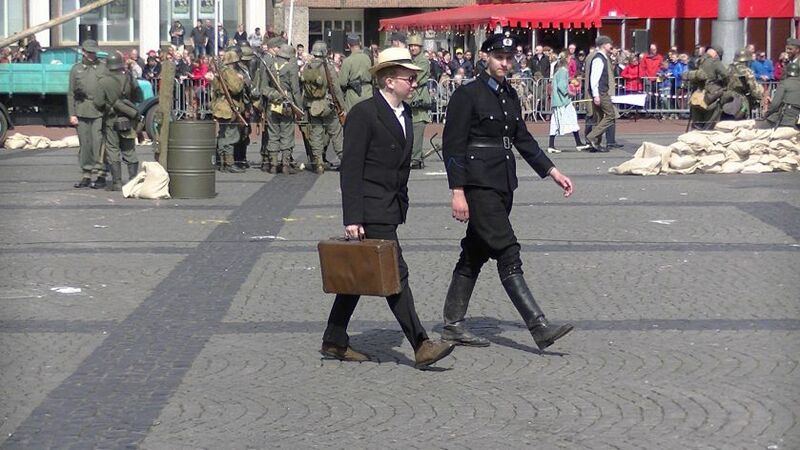 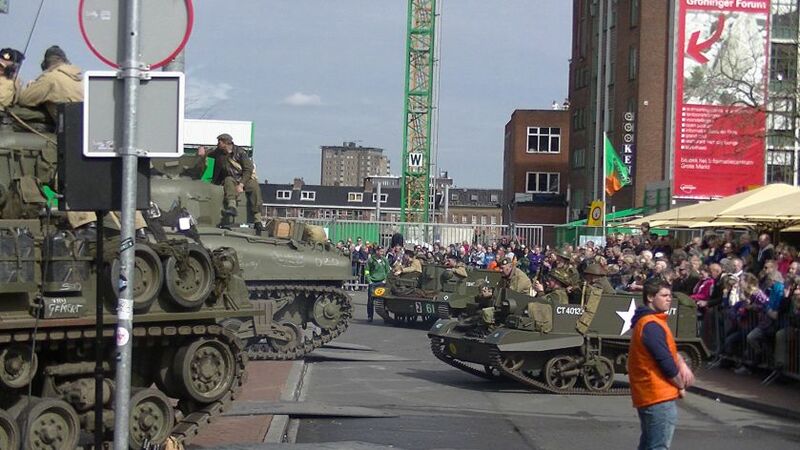 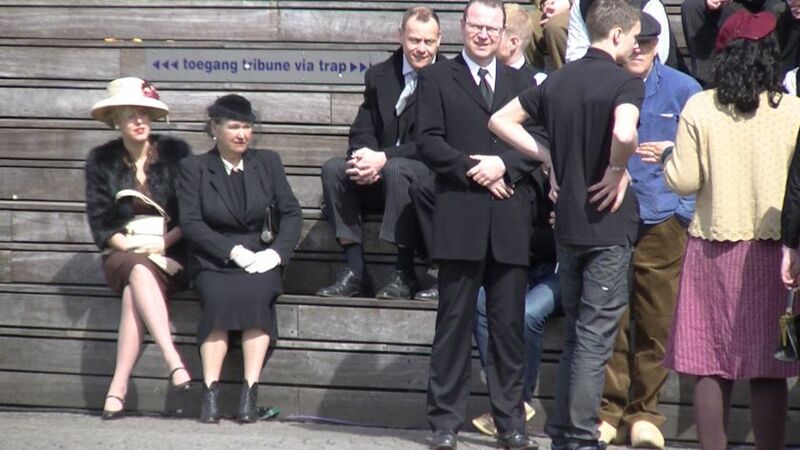 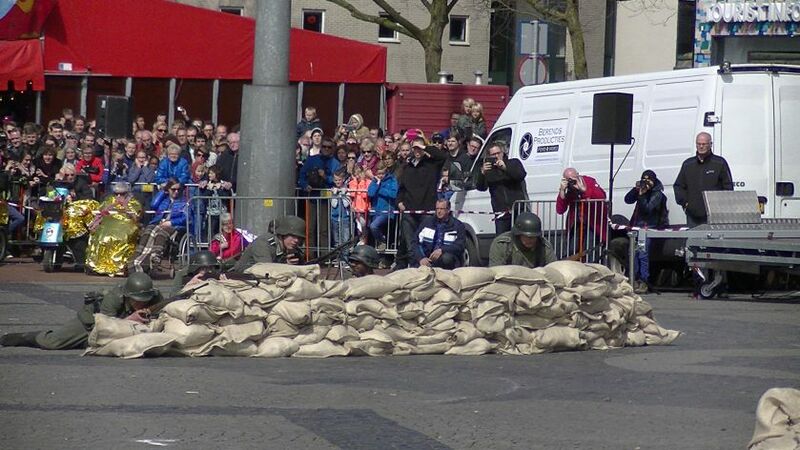 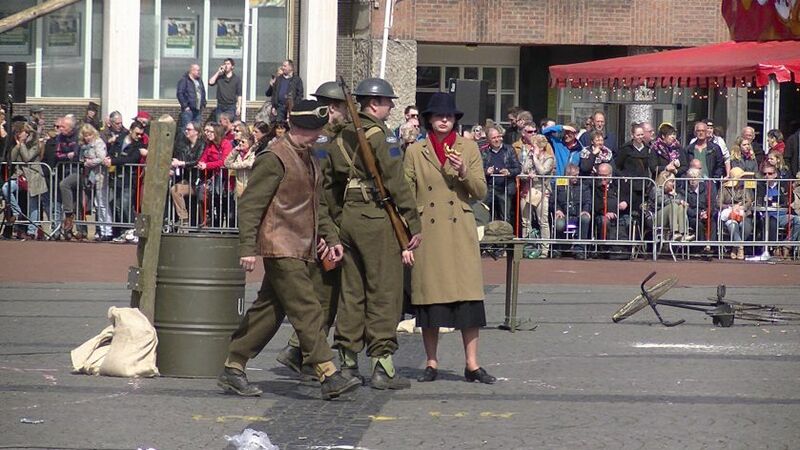 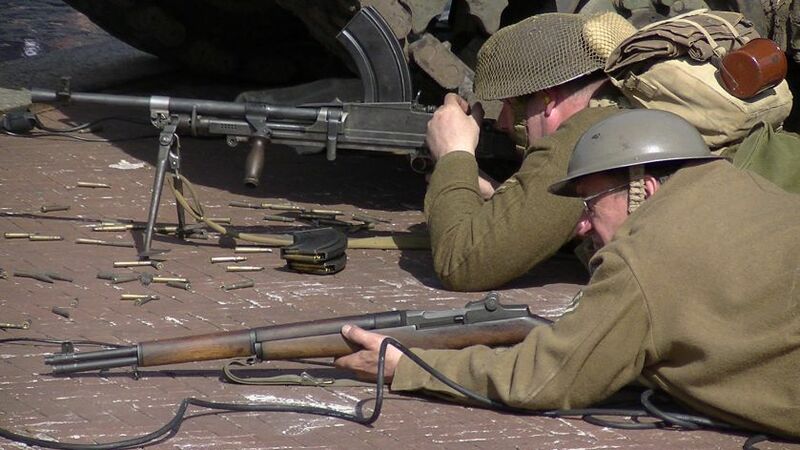 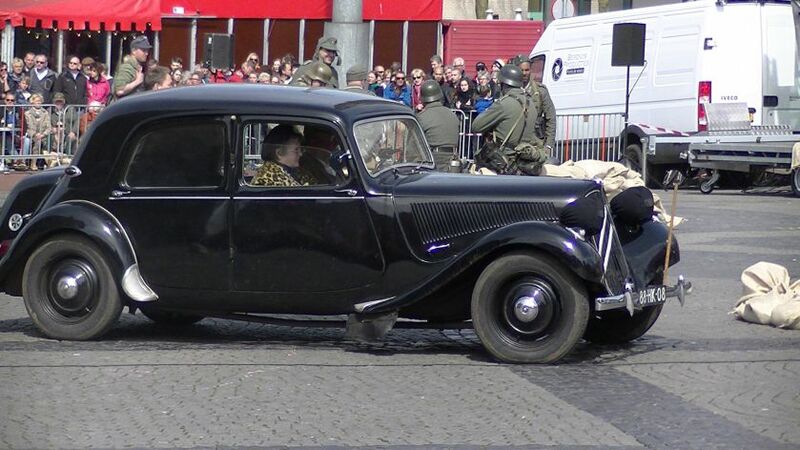 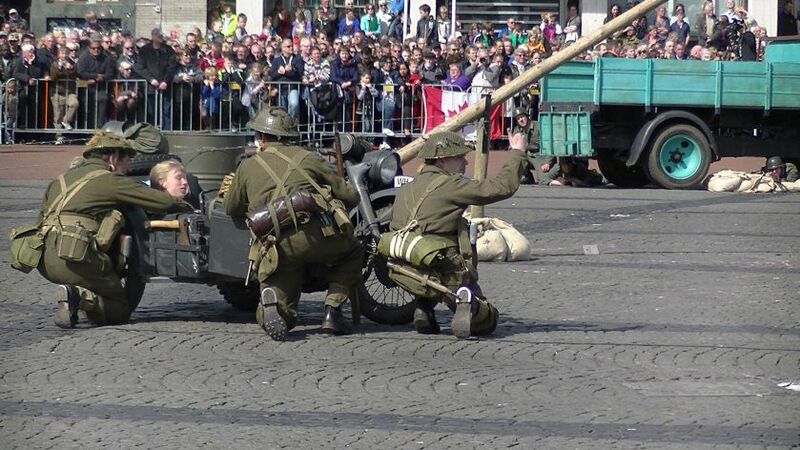 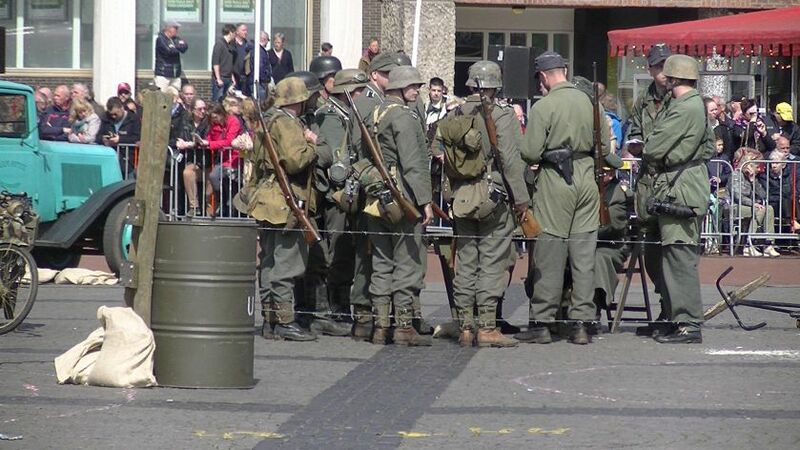 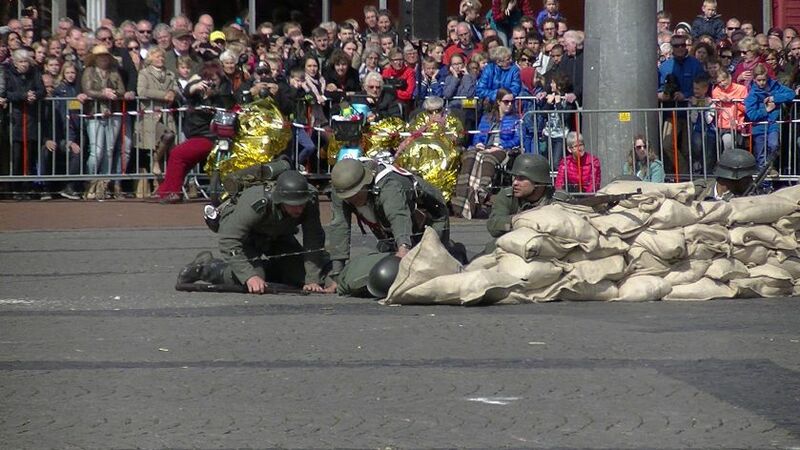 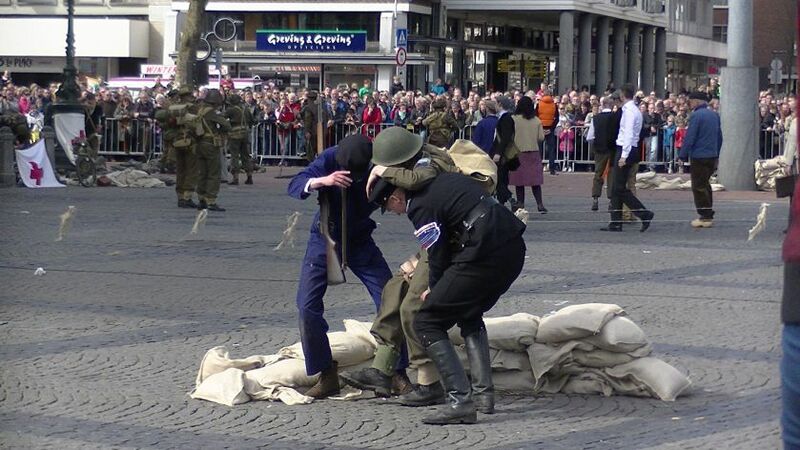 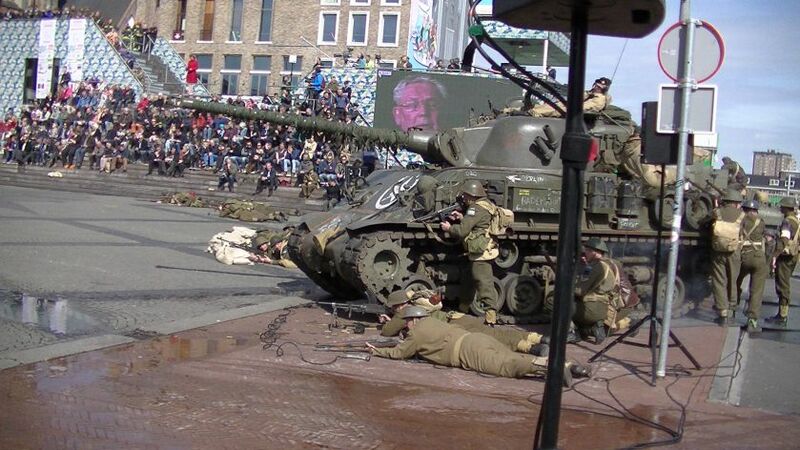 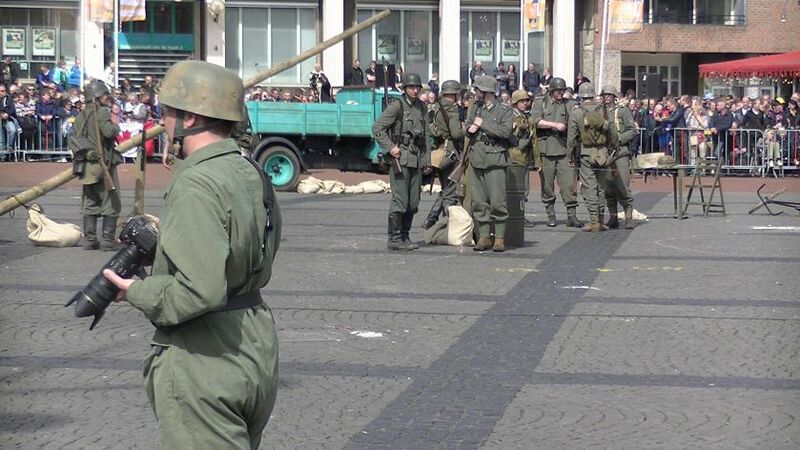 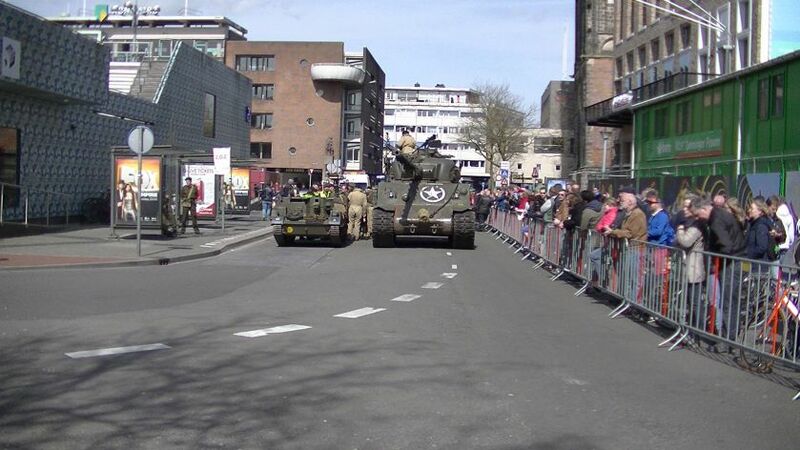 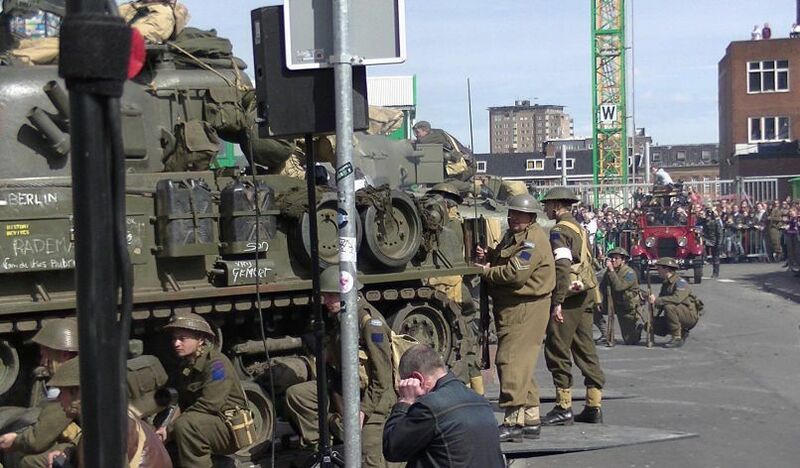 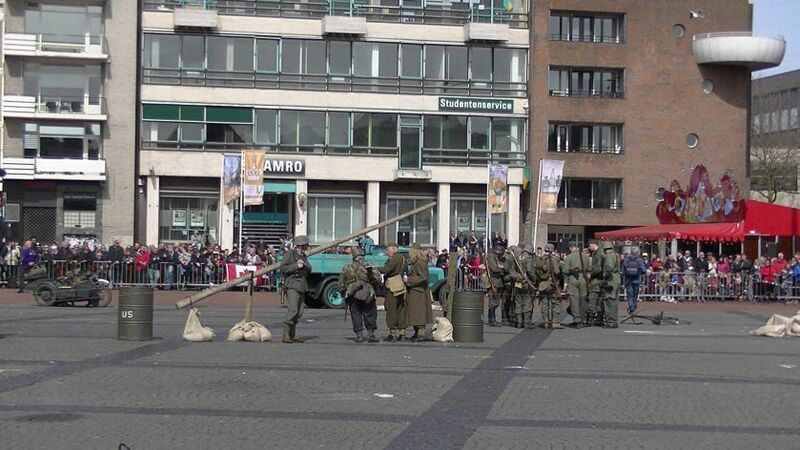 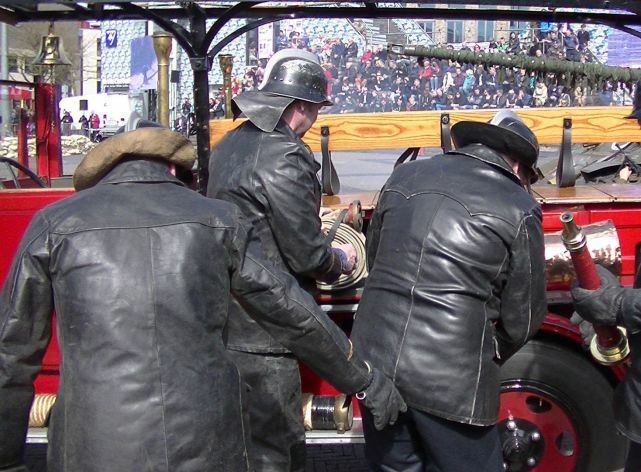 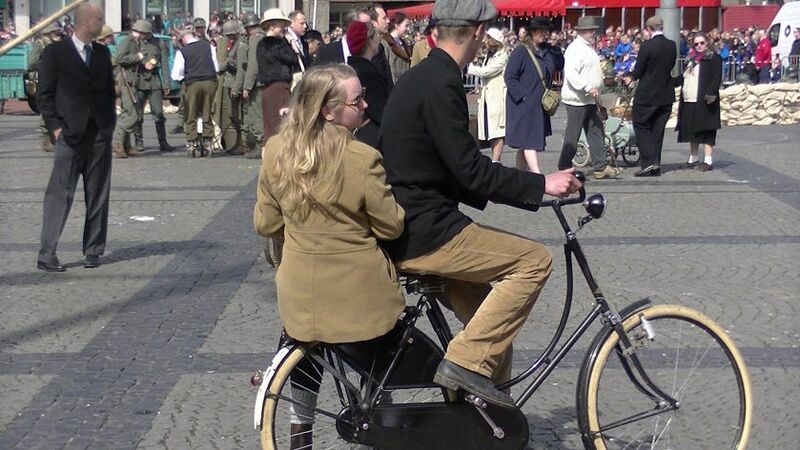 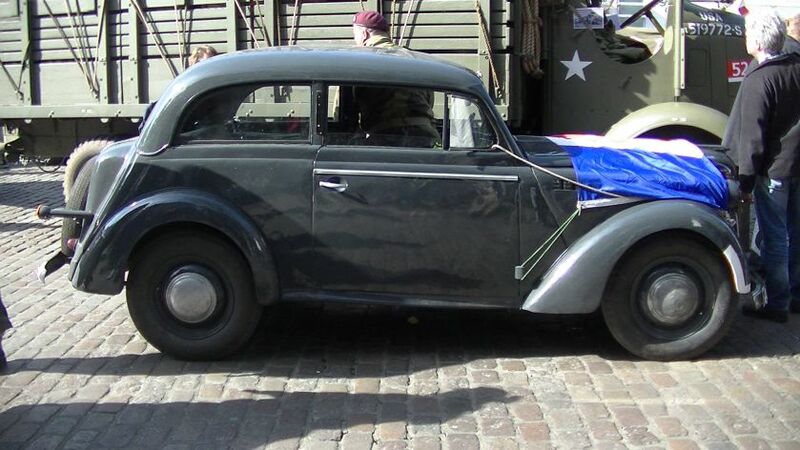 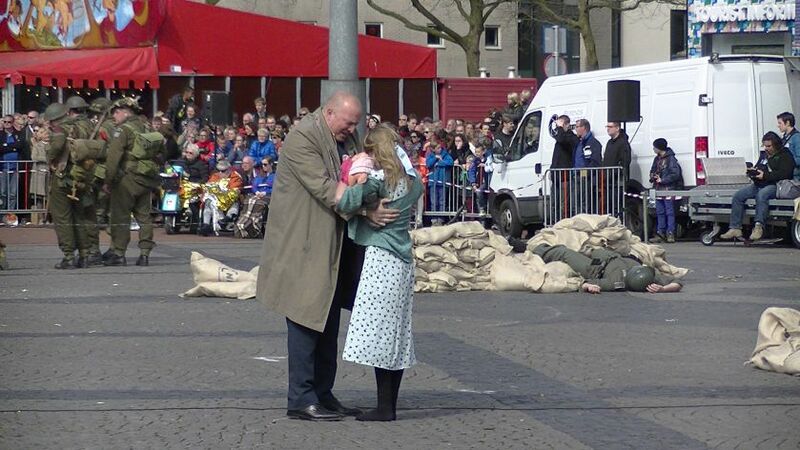 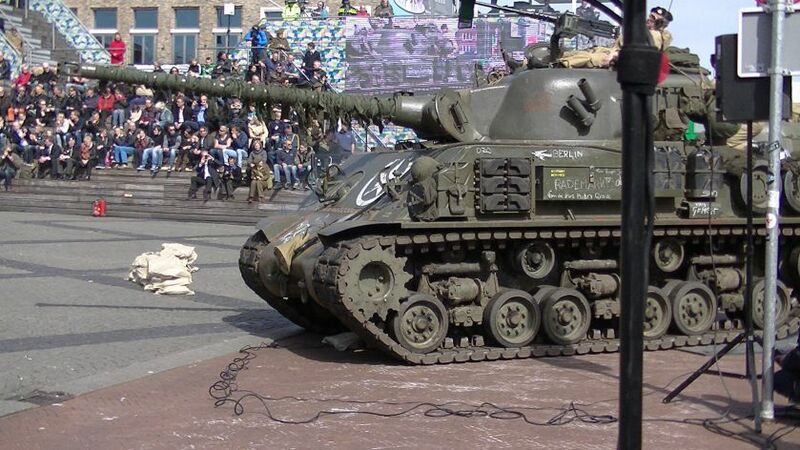 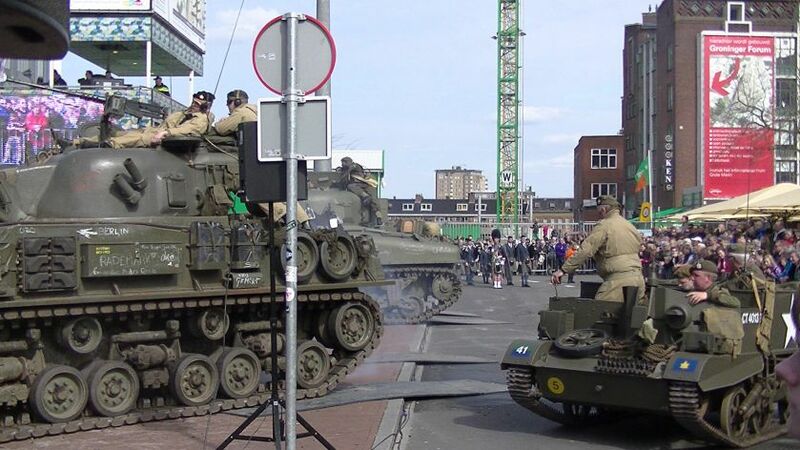 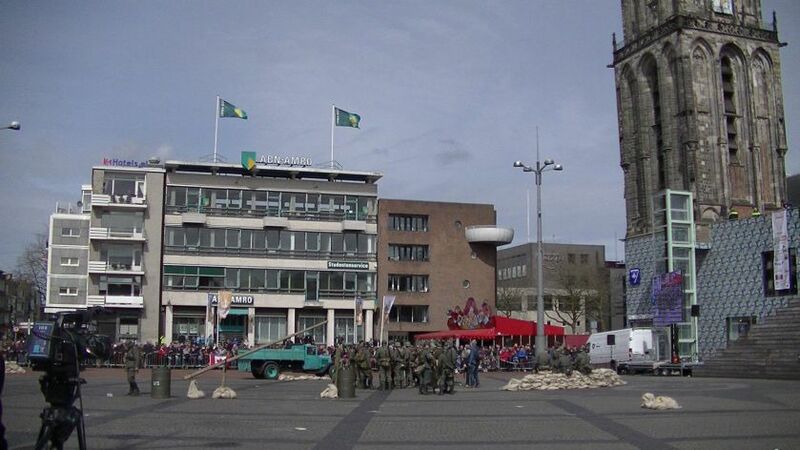 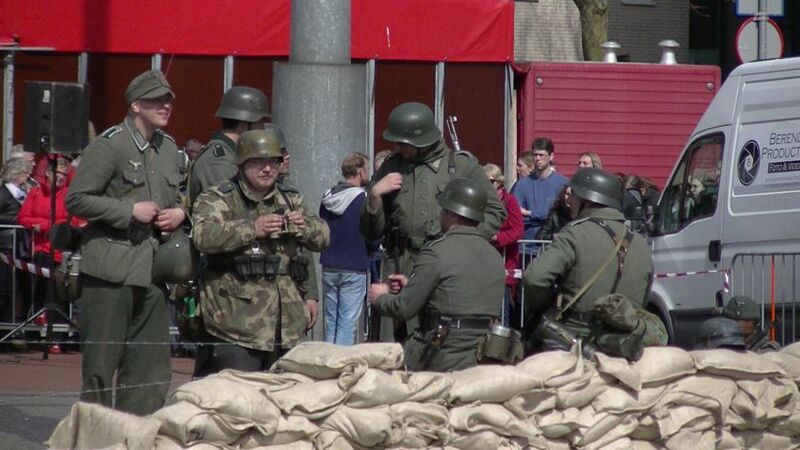 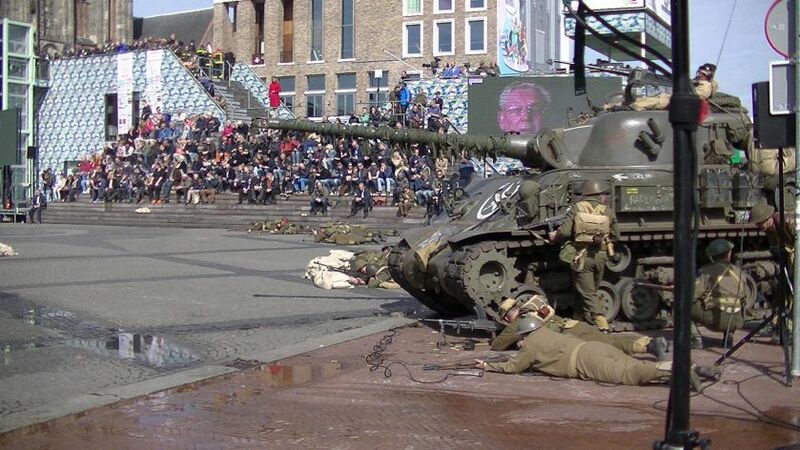 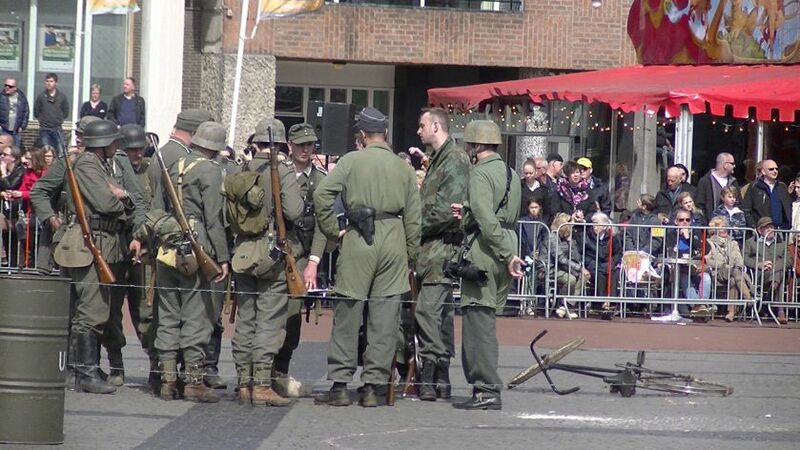 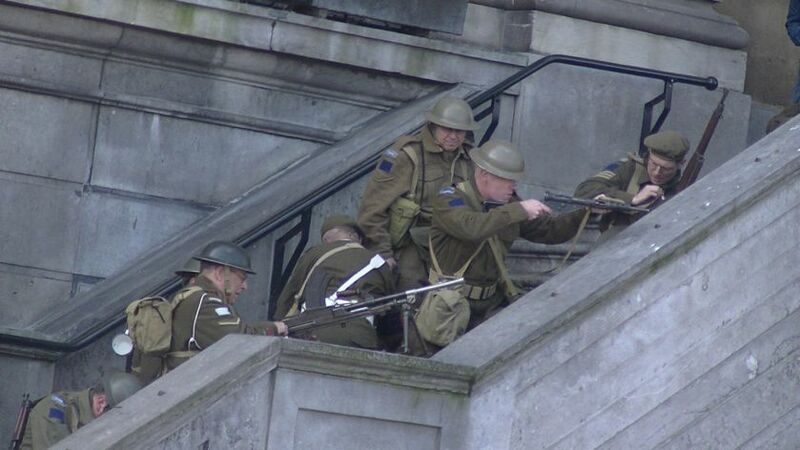 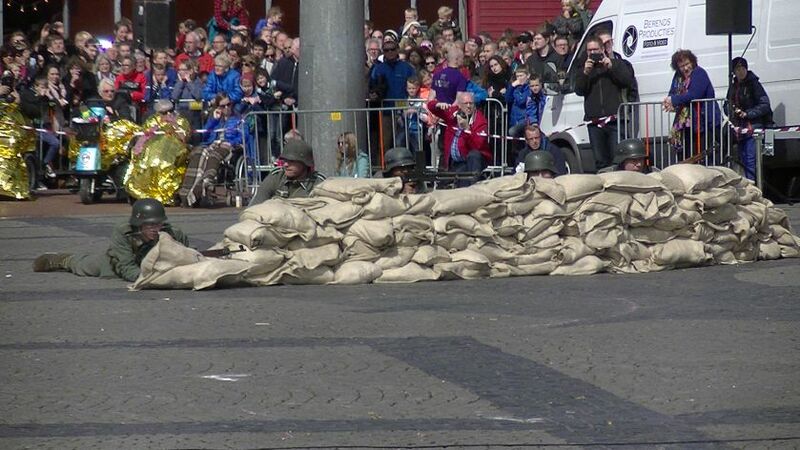 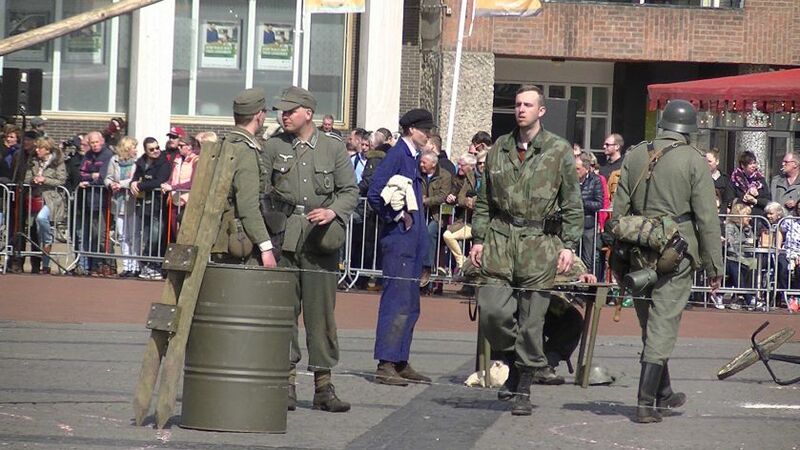 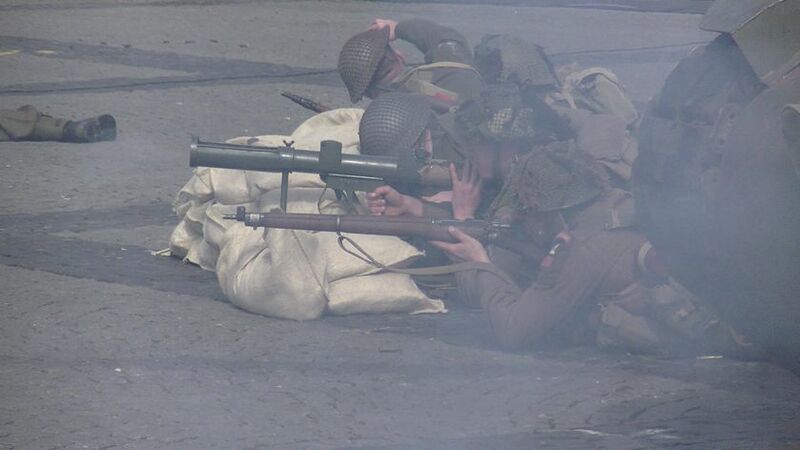 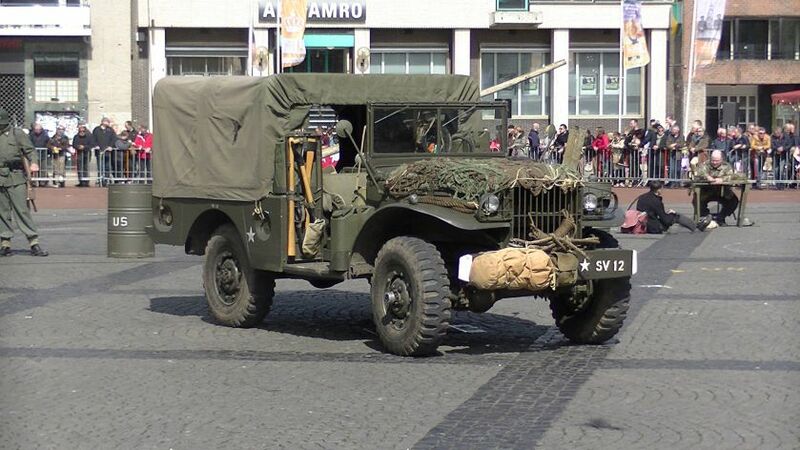 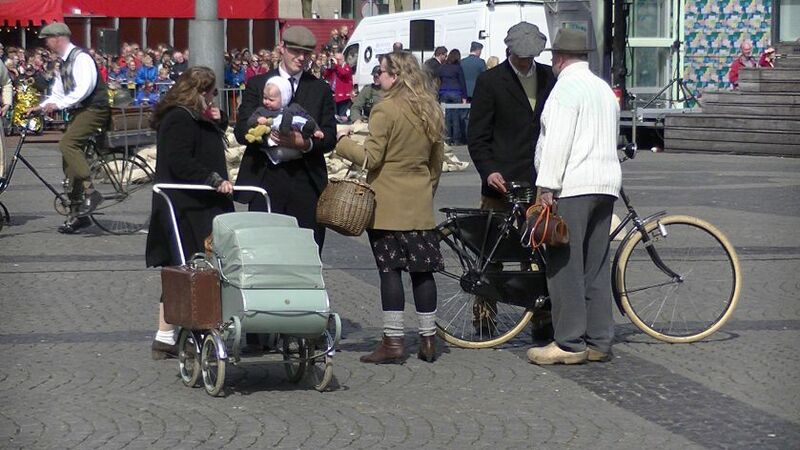 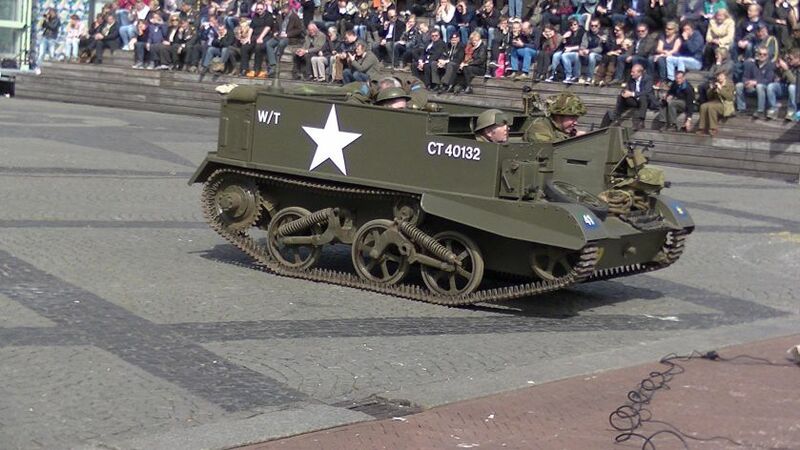 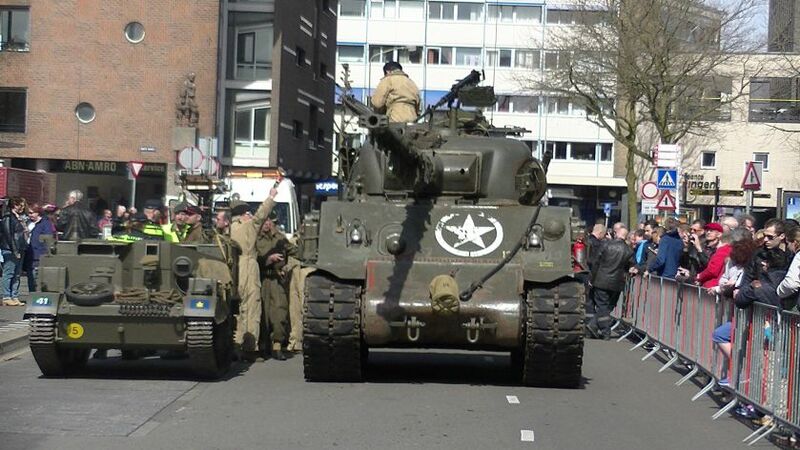 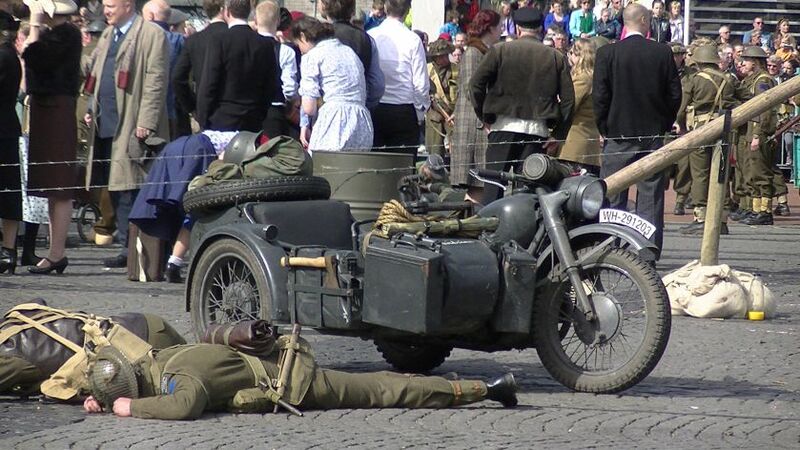 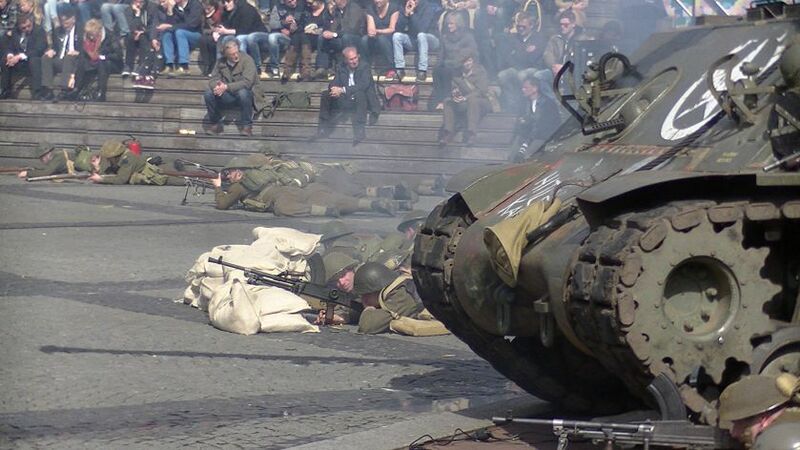 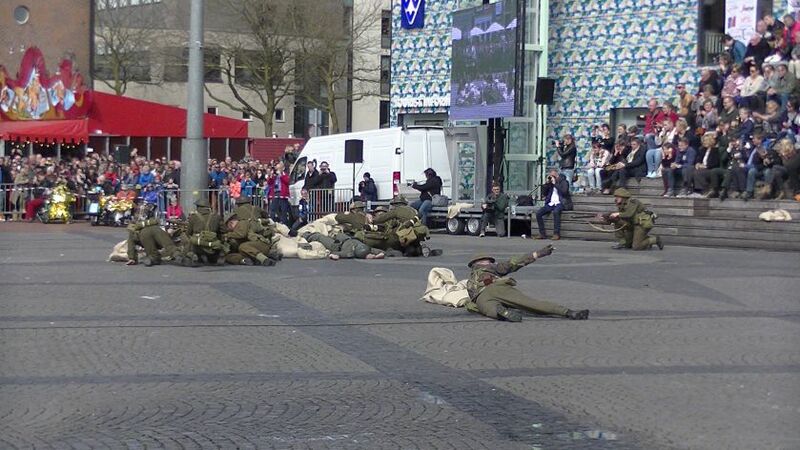 On Sunday 12 April 2015 in the context of Liberation Groningen 70 years the battle of the inner city was re-enacted on the Grote Markt. 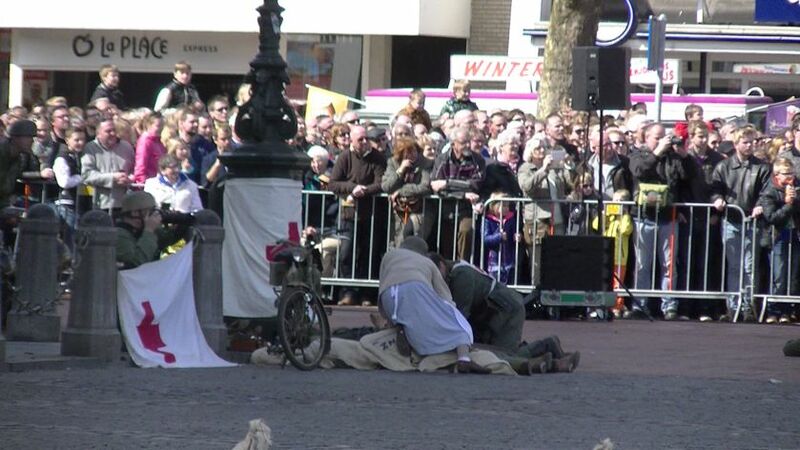 Miranda Bolhuis told the story that was portrayed by actors as the crowd thronged. 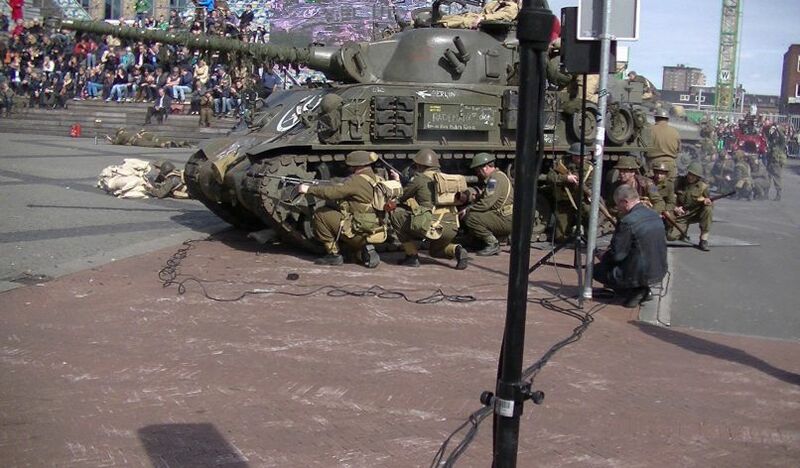 The show began in wartime. 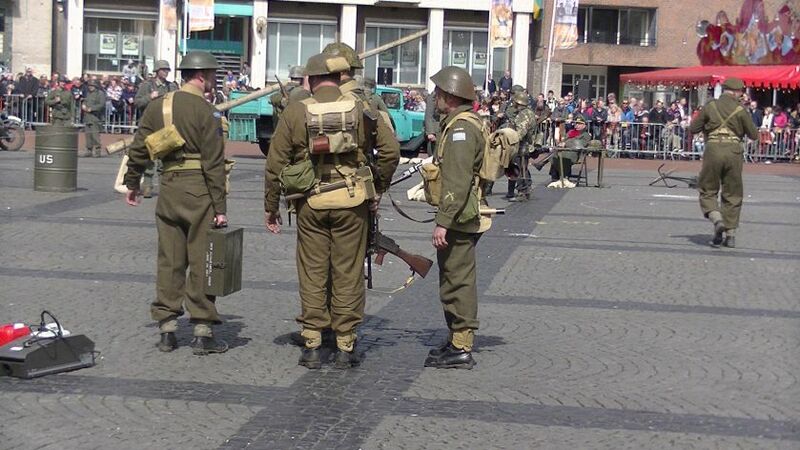 We saw ordinary daily life during the war. 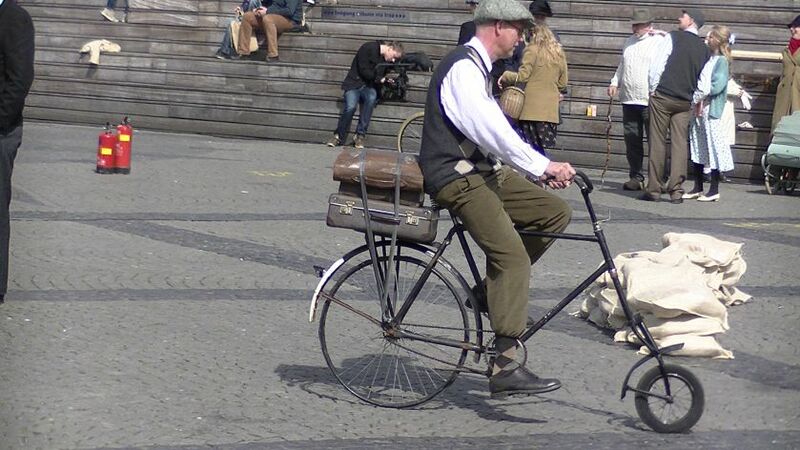 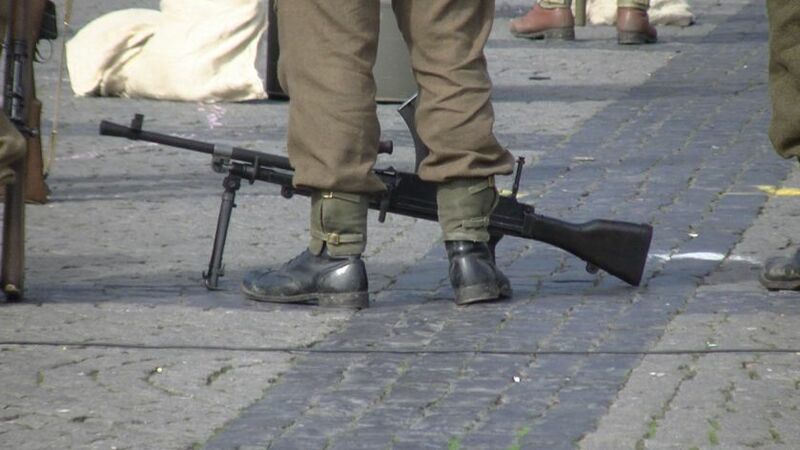 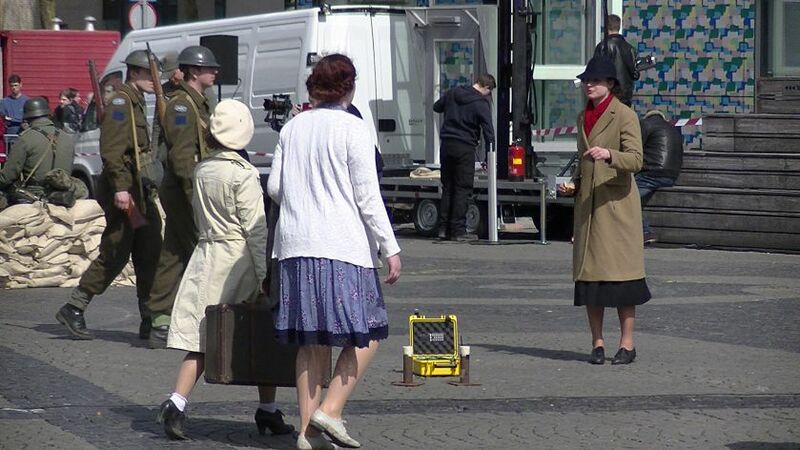 Extras, dressed in the fashion of the 40s, walked across the Market and were controlled by German soldiers. 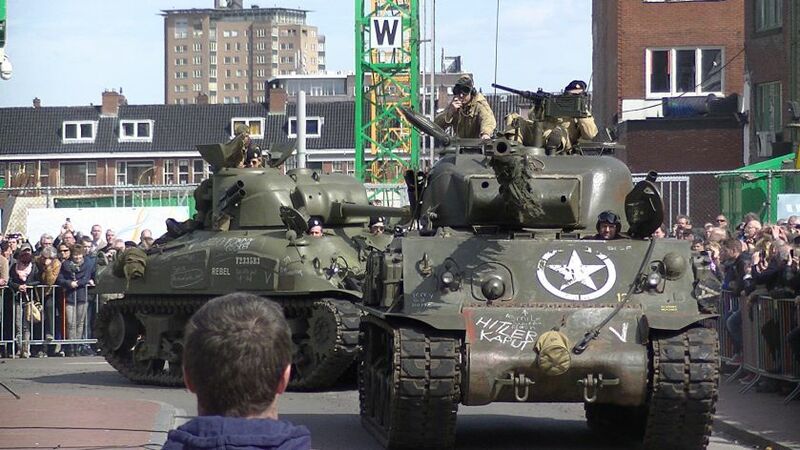 Then came the Canadian liberators. 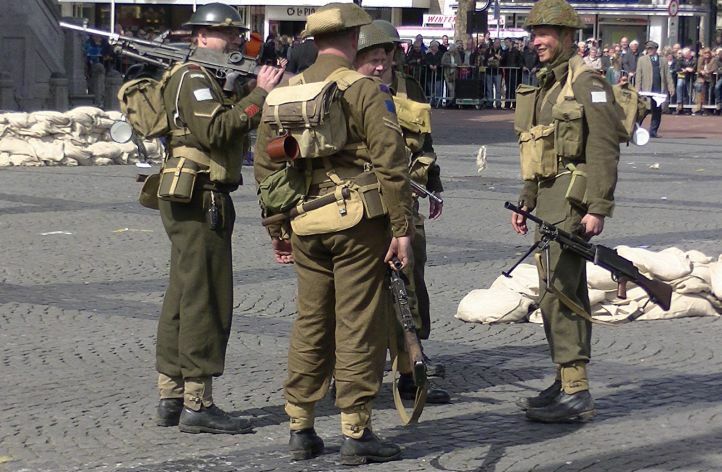 Canadian infantry, supported by Sherman tanks and Bren Carriers fought the last battle with the Germans. 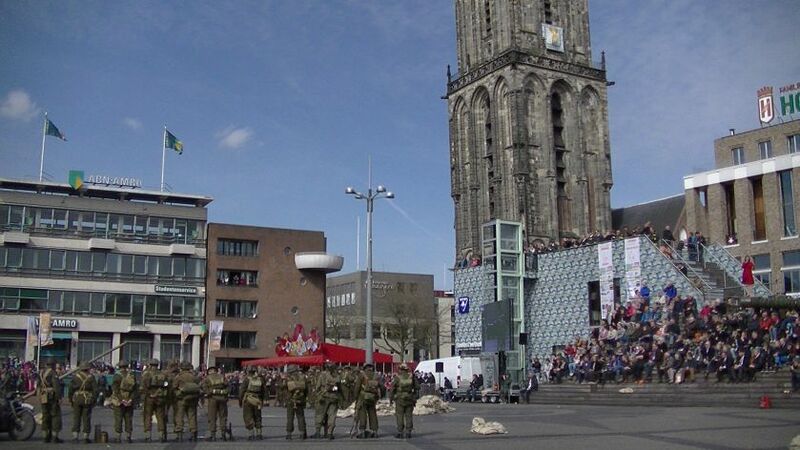 The Battle of Groningen began on April 13, 1945 with the arrival of the Canadian army at the Paterswoldseweg. 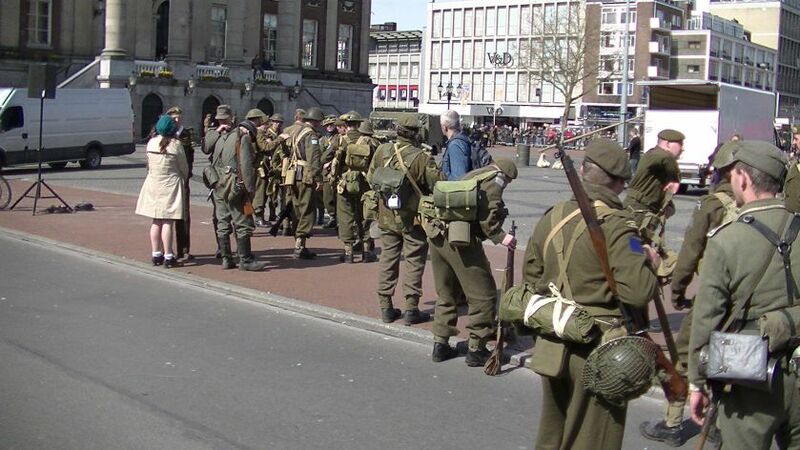 The Canadians fought their way to the city of Groningen were much was destroyed. 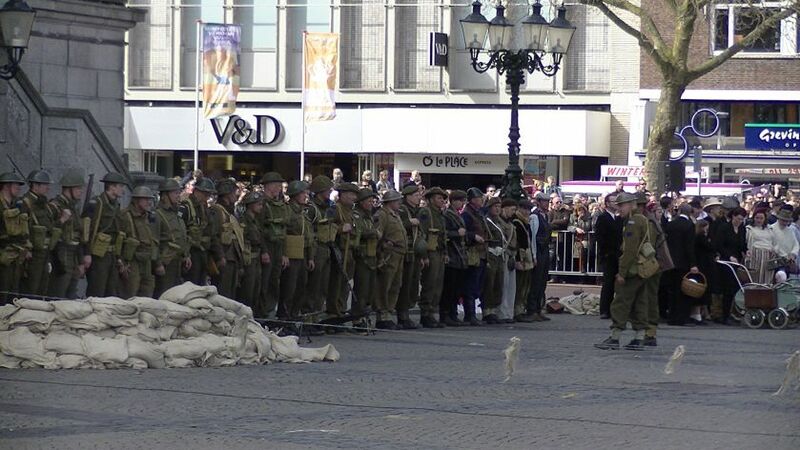 Finally, the Canadian soldiers were on the Grote Markt. 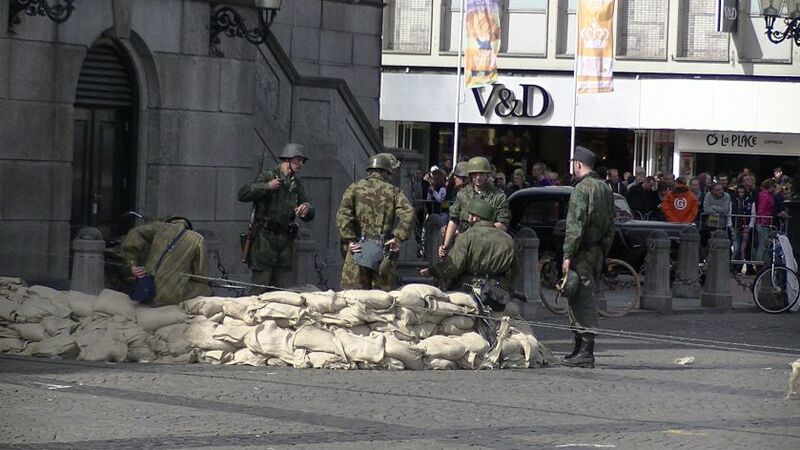 The Germans had put the buildings on the north and east in the fire, including the infamous Scholtenhuis, the Security Service headquarters in the north. 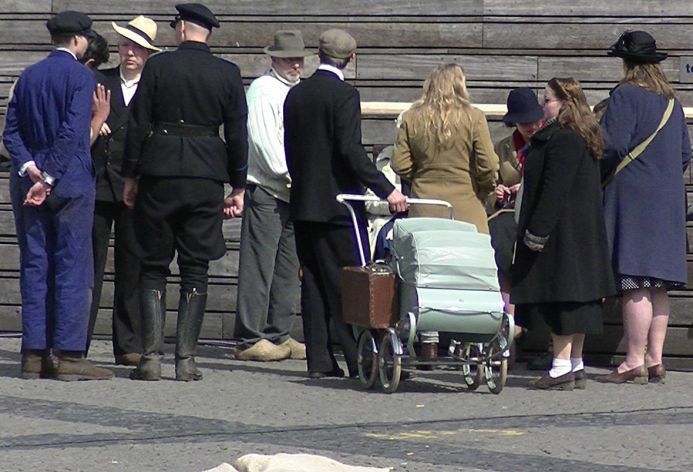 The notorious SS and SD ers' ers had already fled to the island Schiermonnikoog. 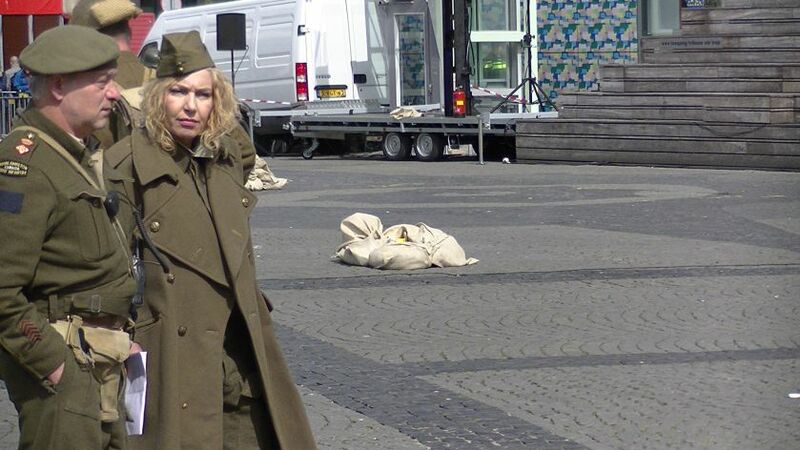 During the fighting on the Market also did fire her work. 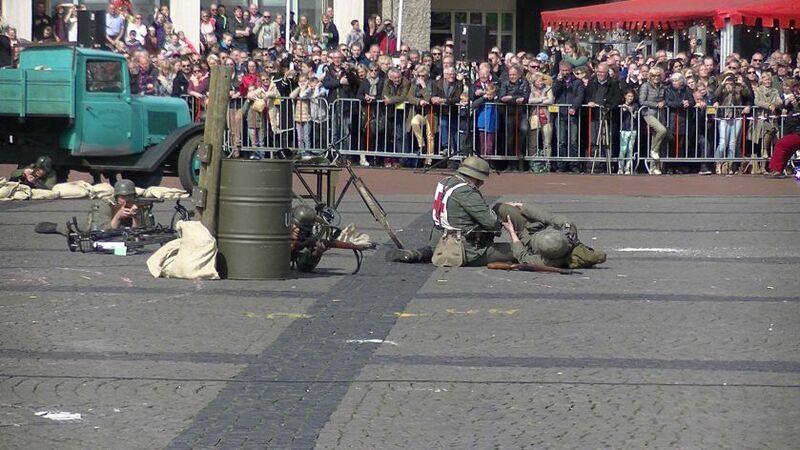 All this was represented that afternoon. 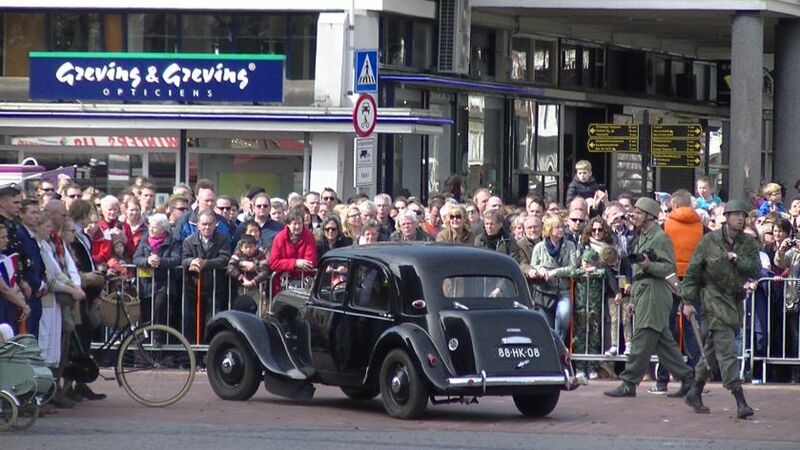 At half past one fortunately we had found a good place where we were able to follow the spectacle well. 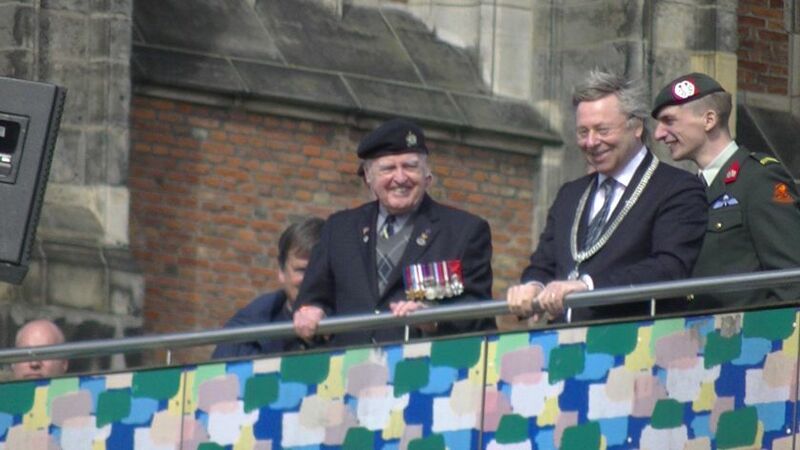 Special spectator was the Canadian veteran Stanley Butterworth. 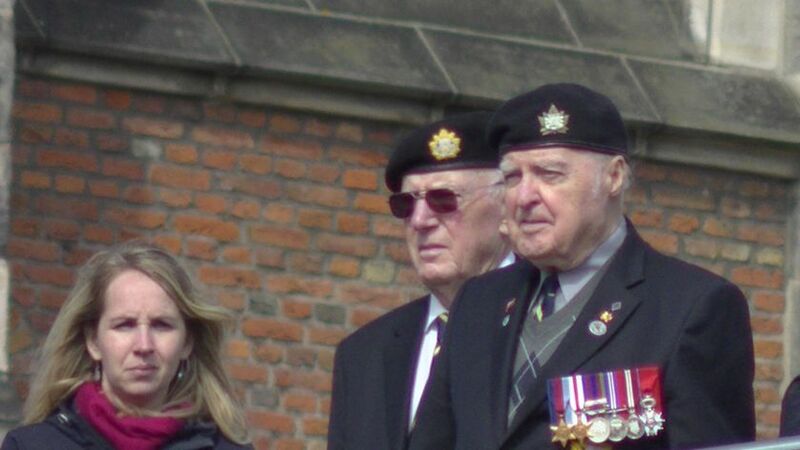 A special spectator the Canadian veteran Stanley Butterworth.